At only 17, Zara Larsson is already making some headway in the music scene, at least in Sweden. Back in 2008, she won Sweden’s version of Got Talent. 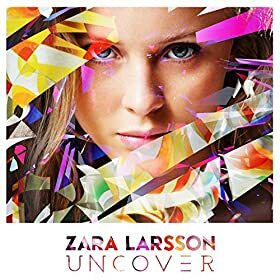 And on January 20th, she released her third EP, Uncover. These six songs give listeners a good idea of what Larsson has to bring to the American music scene. The EP starts off with “Wanna Be Your Baby,” which has an intro that’s reminiscent of 80’s techno-pop. You’ll definitely catch yourself randomly humming this song, as well as most of the others on Uncover. Unfortunately, most of these songs lack meaningful lyrics, so Larsson is left to continually repeat herself, and “Carry You Home,” another song on the EP, is no exception. However, the beat of all of her songs is definitely catchy, and Larsson certainly has powerful vocals. She can successfully hit a wide range of pitches, and we want her to showcase that talent more. “Never Gonna Die,” the second song on the EP is one of the better songs, without question. “Never Gonna Die” reveals Larsson’s more hip-hop, R&B side. The intro of the song has a distinct and heavy beat, and her singing is far different from the rest of the EP - more like rapping. The chorus is extremely catchy: “You were my first, that’s why it hurts. The fire it burns. It ain’t ever gonna die” - with distinct pauses between each word in the last lyric. The one song that does absolutely nothing for Larsson and the EP as a whole is “She’s Not Me, Pt. 1 & 2.” Apparently, in her previous EPs, this one song had actually been two. Whatever the case, the song suffers from severe repetition and an uncomfortable amount of needless blank space (bringing the song to a staggering five minutes and thirty two seconds), which will make you continually check to see if the song is over or not (but it’s not). We have to commend her for attempting to make a slower song, but it just didn’t work. Based on the songs that seemed to work the best, she should think about sticking with more rap, hip-hop type songs with a bit of a pop flair – maybe channel some Rhianna? If she can figure herself out and really dedicate herself to that type of music, then this definitely won’t be the first time America will be hearing Larsson. Uncover EP is available now.